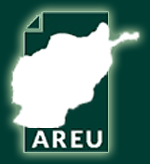 This is the January 2006 edition of the Afghanistan Research Newsletter, featuring an article on the Afghanistan Digital Library project at New York University. 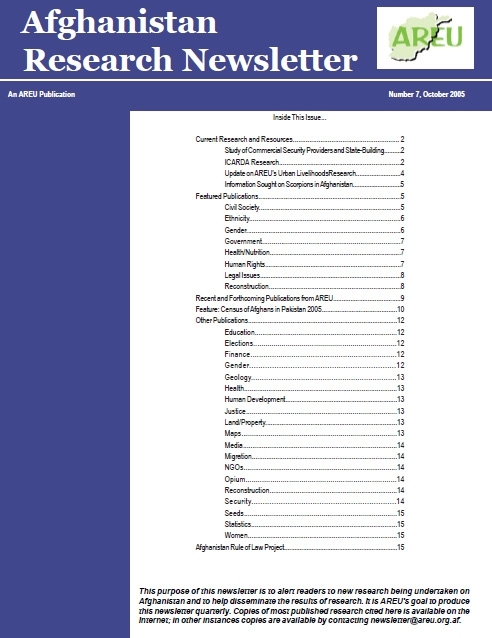 This is the October 2005 edition of the Afghanistan Research Newsletter, and includes a feature article on the census of Afghans in Pakistan. This is the July 2005 edition of the Afghanistan Research Newsletter. This issue has a feature article on the “Watershed Atlas of Afghanistan,” by Raphy Favre. 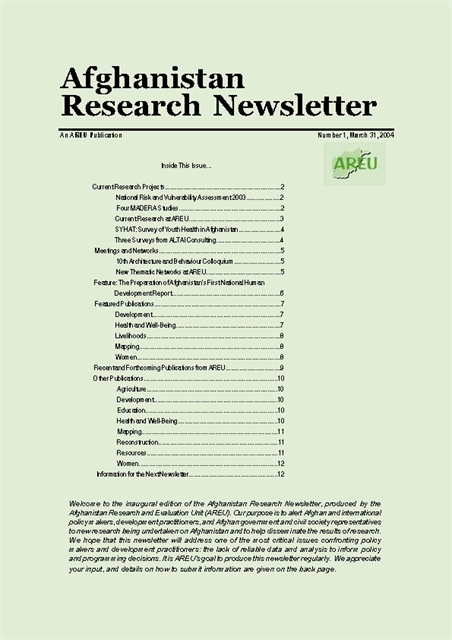 This is the April 2005 edition of the Afghanistan Research Newsletter. 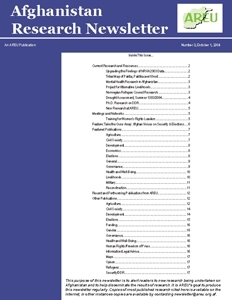 This issue has a feature article on oral history training at Kabul University. This is the October 2004 edition of the Afghanistan Research Newsletter. This issue includes the feature article “Take the Guns Away: Afghan Voices on Security and Elections,” by Sara Aviel. This is the July 2004 edition of the Afghanistan Research Newsletter. 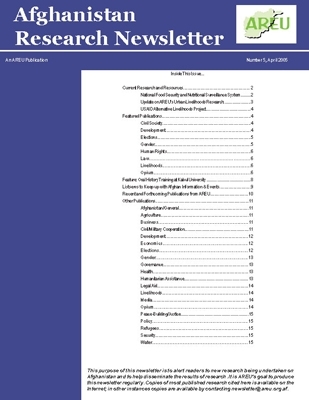 This issue has a feature article on the new database of water points in Afghanistan released by DACAAR (2004). This is the March 2004 edition of the Afghanistan Research Newsletter, which includes a feature article on the process leading up to Afghanistan’s first National Human Development Report by Abdullah Mojaddedi.